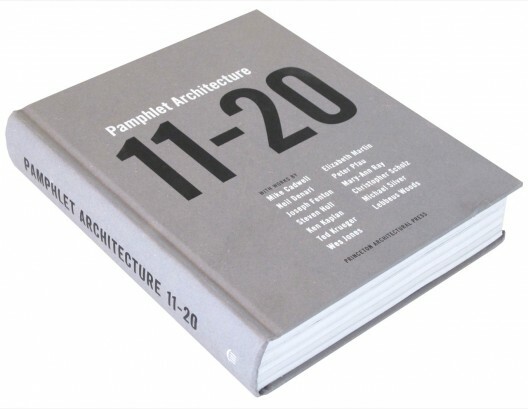 Pamphlet Architecture is a Princeton Architectural Press publication founded in 1977 “as an alternative to mainstream architectural publishing“. 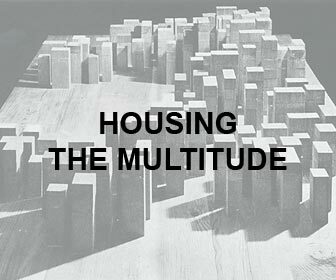 With Steven Holl as a sort of grandfather, the magazine promoted (– still does) individual points of view, rather than supporting monolithic mainstream currents such as Deconstructivism or La Tendenza. 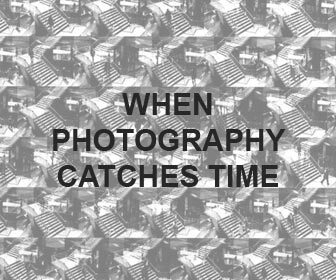 The particular productive process of each issue is more similar to an artist residency than the usual architectural publication: young architects are offered, through a yearly competition, the benefit to delve into a radical, personal research around a topic, spontaneously shifting between insightful texts, visual speculations and personal production. 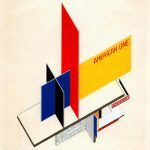 For many, Pamphlet represented the early stage of a groundbreaking career. Now in its third decade, the magazine still does its job of foreseeing edgy architectural points of view, and not by chance the next two numbers will be edited by Luis Callejas, former co-founder of Paisajes Emergentes (see: Airplot, on Socks) and by the very talented Perry Kulper. 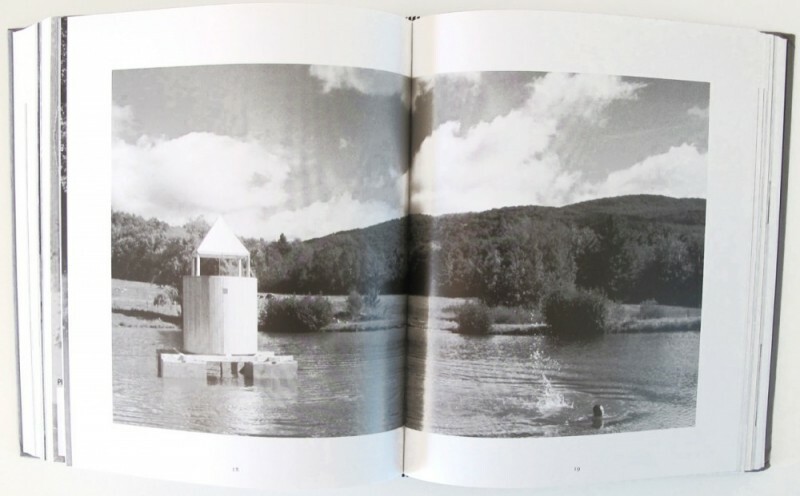 I have to say, to my shame, that I didn’t know about Pamphlet until 2007, when Smout Allen’s ‘Augmented Landscape‘ issue came out and I discovered the inspiring work of a landscape architect blurring the limit between the architectural and the infrastructural, the natural and the artificial. Whereas the relatively small size and low cost of the magazine wouldn’t keep anyone from ordering back issues, I guess it is more interesting to get the whole lot collected into two hardcover volumes: the anthologies PA 1-10 (1998) and its companion PA 11-20 (2011). 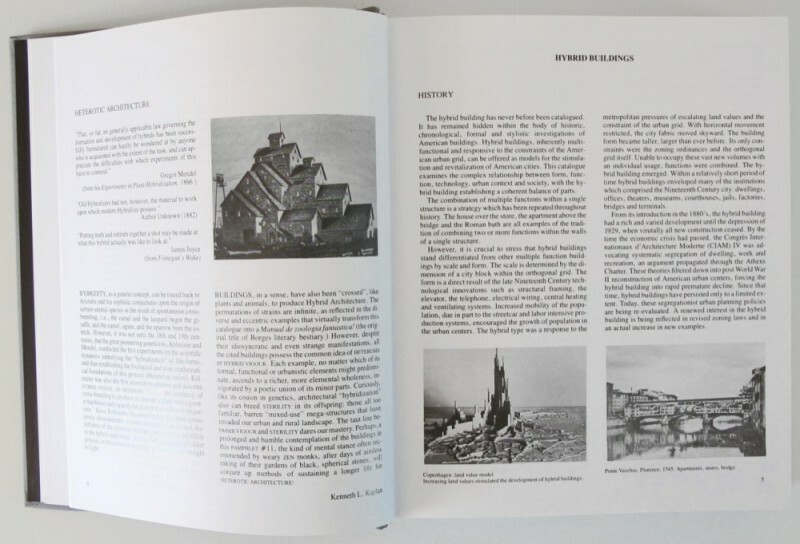 This latter, a copy of which I just received from the gentle guys at Princeton Press, is a complete reissue of over a decade worth of Pamphlets: from PA 11: Hybrid Buildings, (1986) by Joseph Fenton, (a survey of built hybrid typologies in an epoch in which OMA wasn’t still dominating the theoretical panorama with the dictaturship of the Program), to PA 20: Seven Partly Underground Rooms and Buildings for Water, Ice, and Midgets, (1997), by Mary-Ann Ray, (an essay on unusual spaces during Etruscan and Latin age Italy: from a Triclinium in Pompeii, to midget chambers in Mantua, from Seven Halls in Rome, to the Icehouse in Bagnarola, featuring a rich set of construction drawings, photographs, illutrations and collages). ‘Hybrid Buildings’, despite investigating an innovative subject (at least for the times) ends up being quite disappointing, in that it adopts a rather dull and very orthodox method for illustrating case studies. It is one of the more revealing ironies of our time that the progressive development of modern technological and scientific thinking has culminated -in contemporary architecture- in the reactionary, reductive, and superficial use of historical forms. 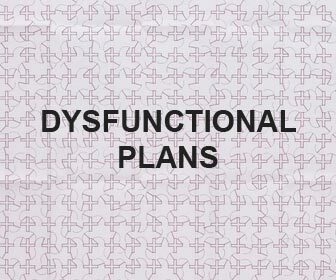 In order to oppose this situation effectively, as the following projects are attempting to do, it is necessary not only to create other, more appropriate forms, but also, and far more important, to understand and resist the propensity of utilitarian and economic determinism to transform architectural design into an instrument of an exclusively technological character. This determinism, which is used to define our modern worls, displays a total indifference to architectural form: the calculating production of technology, as Heidegger has noted, is an act without an image. 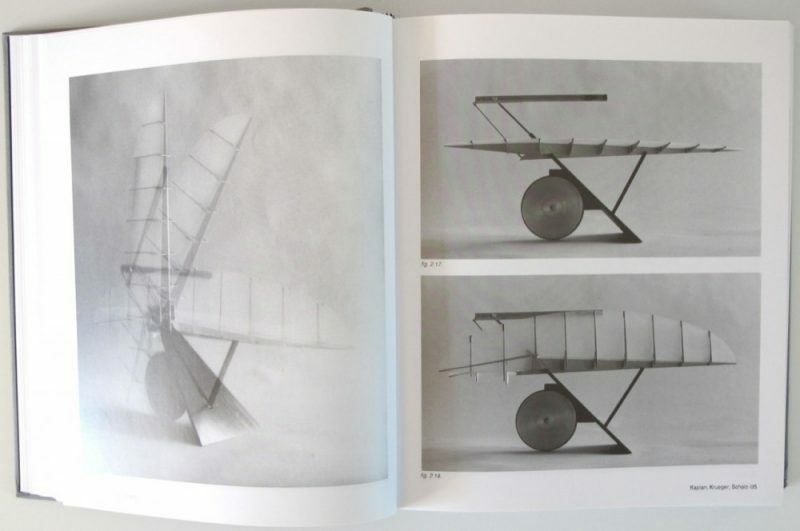 It has to be said, however, that much of the strength of this issue comes from Neil Denari plans, elevations, sections and perspective drawings, characteristically texturized and devoid of any natural life. As noted by the Moma curator: their “heavy shadowing and stark surfaces suggest both the anxiety and the euphoria of the twentieth century’s love of the machine—a love-hate relationship certainly still evident in the cyberworld we inhabit today”. 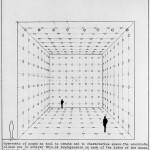 Steven Holl makes his regular appearance in the series (cfr. 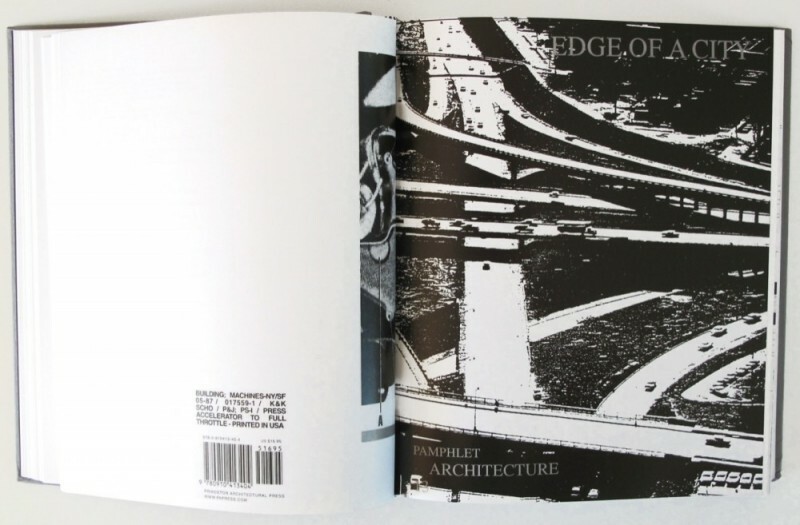 issues #1 ‘Bridges’, #5 ‘Alphabetical City’, #7 ‘Bridge of Houses’, #9 ‘Rural and Urban House Types’ and the 2012 #31 ‘New Haiti Villages’), with PA 13: Edge of a City (1991), a collection of imaginary, yet non-utopian urban proposals “designed to respond to extreme changes in recent culture” . 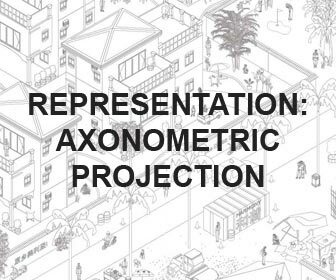 New communities are developed around the juxtaposition of living, working, recreational, and cultural facilities in cities peripheral contexts. 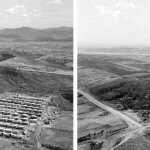 Projects like “Spatial Retaining Bars” for Phoenix and the Parallax Skyscrapers for Manhattan formed the basis for future (built) works, most notably the Linked Hybrid Complex in Beijing, China. 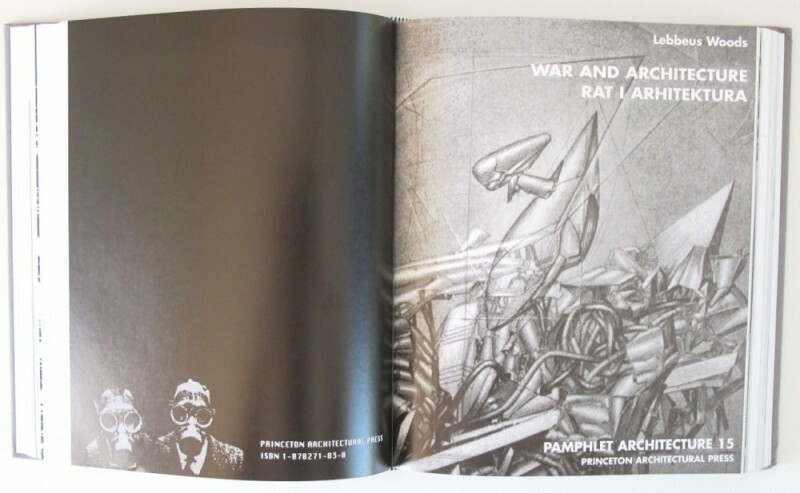 Two peaks in the collection are, without doubts: PA 14 ‘Mosquitoes’, (1993), by Ken Kaplan and Ted Krueger, and PA 15 ‘War and Architecture’, (1993) by Lebbeus Woods. The former is in continuity with issue #12 Building Machine, but drawing a lot more from a Cyberpunk-meets-The Fly imaginary. 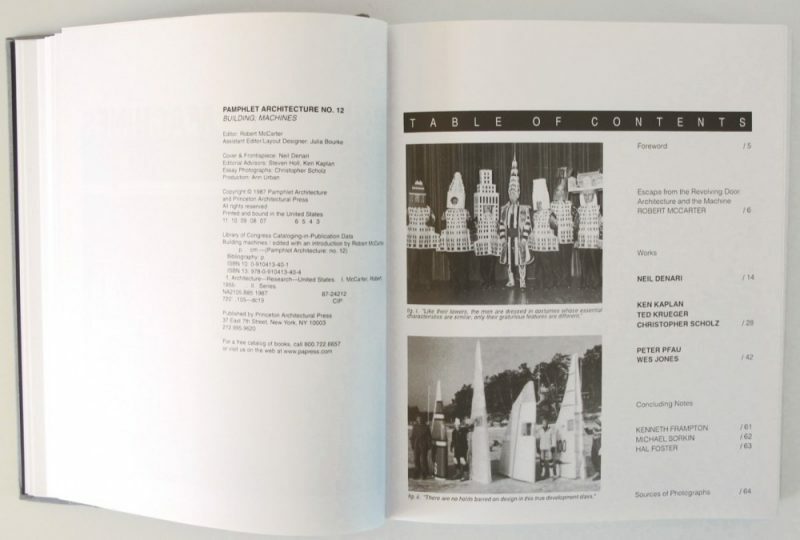 A criticism to social and political conditions is expressed through a Manual of Survival, in which architectural experimentation is seen as an antidote to the pervading “dogmatic gas” of today’s architectural ideology. The machines, devices and prosthetic human apparatuses created by the authors are, anyway, simply stunning. 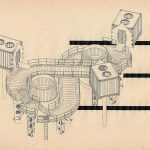 Lebbeus Woods’ issue surely detachs itself from the irony of its predecessor, and delves into an analysis of the ties between architecture and violence. 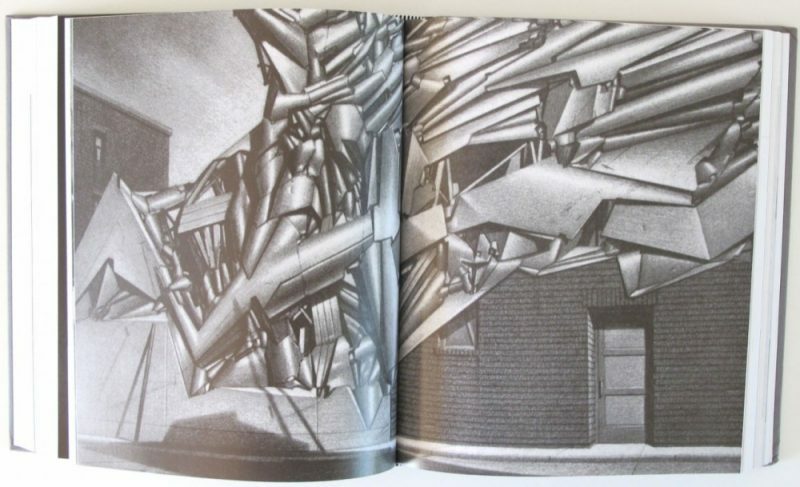 Through both his dramatic drawings and texts in Croatian and English, the author identifies a third option for regenerating urban life and built fabric in cities, like Sarajevo, that have been ravaged by war bombing. Instead of erasing down the rests or restoring à l’identique, the author proposes new architectural forms acting as ‘scars’,’tissues’ and ‘injections’ in the city. The scar is a mark of pride, and of honor, both for what has been lost and what has been gained. It cannot be erased, except by the most cosmetic means. It cannot be elevated beyond what it is, a mutant tissue, the precursor of unpredictable regeneration. Acceptance of the scar is an acceptance of existence. Healing is not an illusory, cosmetic process, but something that -by articulating differences- both deeply divides and joins together. Although, from an intellectual point of view, I find Woods’ literal analogy between the city and the human body as one not particularly relevant, I cannot deny the stirring beauty of his imagery; the urge, the strenght and the haunting drama his drawings convey. Three more Pamphlets complete the 11-20 anthology: PA 16 ‘Architecture as a Translation of Music’, (1994) by Elizabeth Martin, PA 17 ‘Small Buildings’, (1996) by Mike Cadwell and PA 19 ‘Reading Drawing Building’, (1996) by Michael Silver. (PA 18 was never published…). 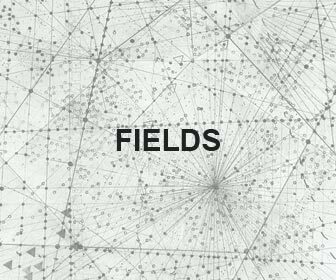 Although visually and graphically less impressive than Woods’ number, Elizabeth Martin PA is a thorough job of bringing together two seemingly incompatible fields: music and architecture. 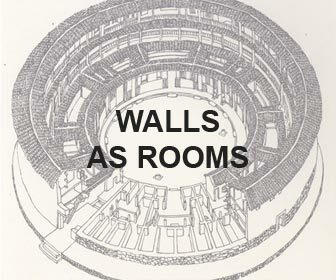 Through a collection of case studies, analogies between the built form and the musical language, between notation and constructive drawings, the author traces back the multiple ways architecture and music intertwined themselves in the past and forecasts the possible challenges they will take up one to another in the future. 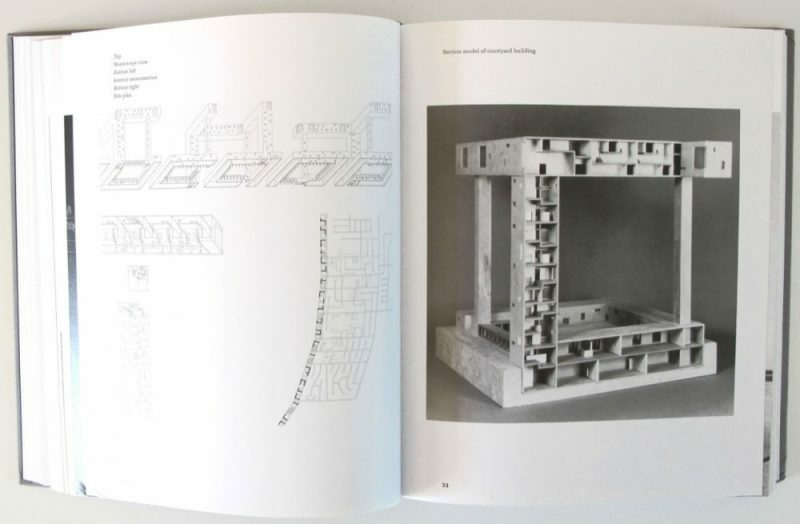 PA 17 ‘Small Buildings’ aims less high in the speculative realm, since it humbly shows a compendium of small scale wooden construction by the author Michael Cadwell. 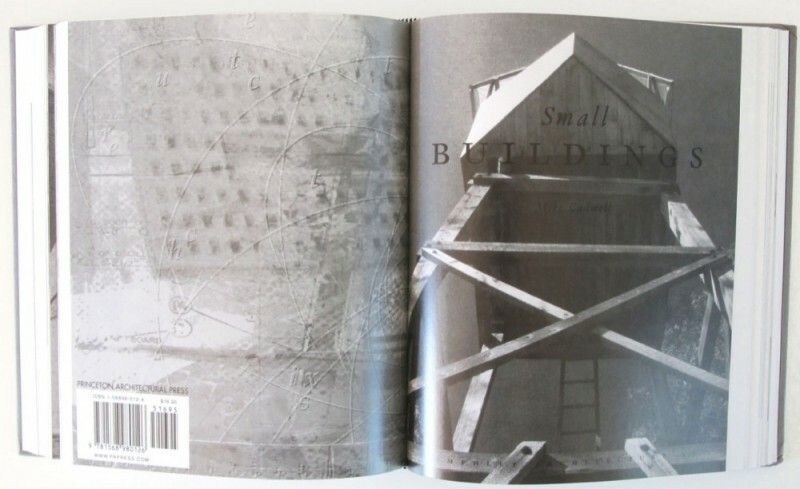 This doesn’t mean the work to be of less value: on the contrary, the description of the relationships between these Small Buildings with the physical world and the cultural contexts they are inspired from, makes this issue a valid and insightful investigation on the basic human act of building. 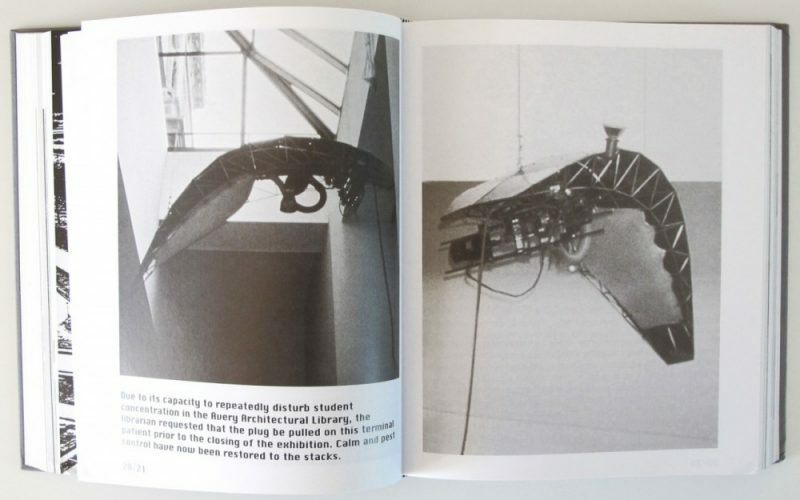 Finally, in PA 19 ‘Reading Drawing Building’, Michael Silver explores the way reading and drawing are interlinked activities and how they take their substance in the field of architecture. 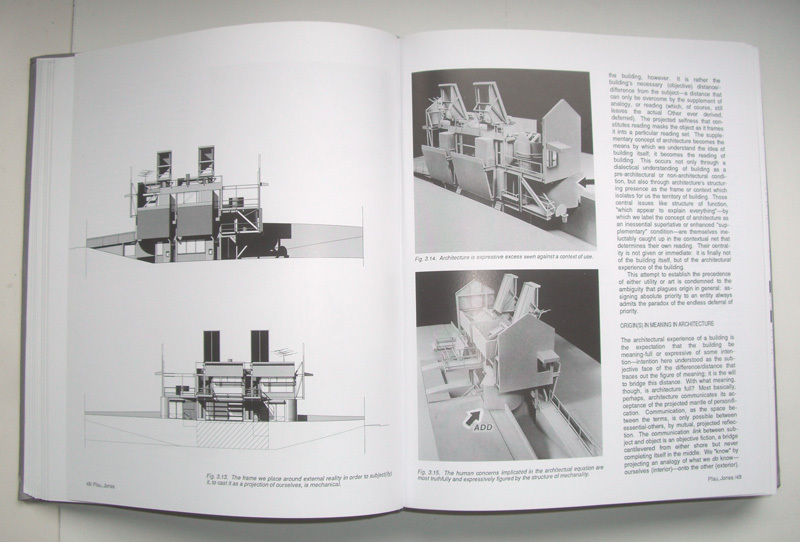 By juxtaposing two projects: the Library and the Drawing Machin, the author collapses the separation between language and architecture. I have a feeling that looking for informations and documentation on the Internet about the multilayered, post-modern theoretical discourse from the years just before the massive spread of Internet (that is: between 1985 to 1994) is not as easy as finding material from, let’s say, the 60’s, the 70’s or even the early 80’s. The massive process of cultural introspection facilitated by the Internet, seems, to me, to paradoxically leave the previous era as almost ‘untouched’. 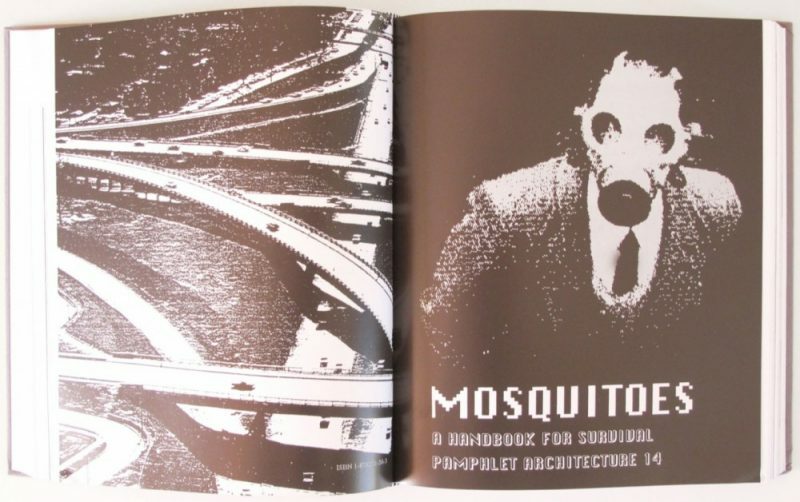 For this reason, a printed anthology like Pamphlet Architecture 11-20 comes as fresh air today. 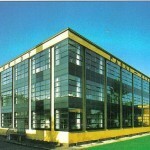 Also Read: Review by Archidose.